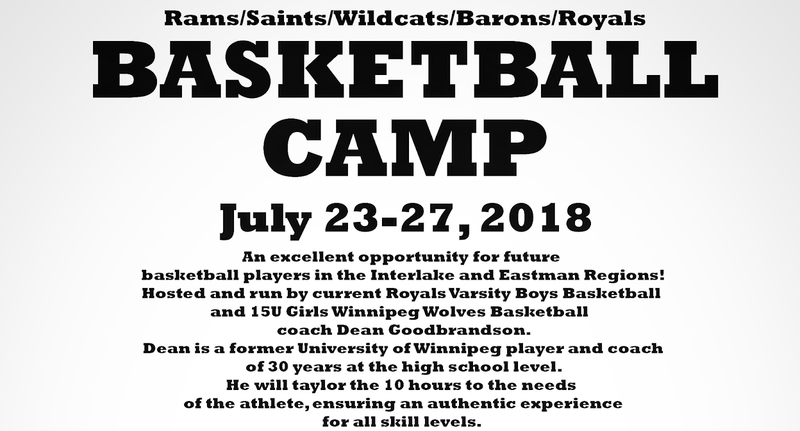 Coach Dean Goodbrandson has announced he will be hosting a summer basketball camp for boys and girls ages 12 and under and 13+ for July 23-27, 2018 at East Selkirk Middle School. Cost to register is $125 a player with all campers receiving a T-shirt. More details are on the below poster. Registration and payments can be directed to rymescon@shaw.ca.